Buy acrylic paints for modeling. The ak interactive acrylic paint offers a full types of acrylics paints for your models. Buy our acrylic paints for modeling in our online store. 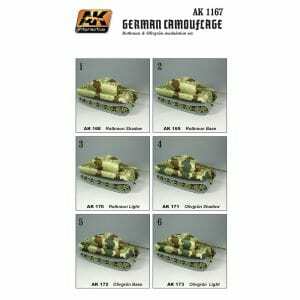 _ AK1164 Dunkelgrau Light Base. _ AK1165 Dunkelgrau High Light. Selection of colors to paint camouflage schemes on Wargaming miniatures. This set was especially designed for German vehicles in camouflage. This set is the perfect complement to our AK-1552 German Dunkelgelb Wargaming paint set. As with all our other Wargaming Series color sets, these paints utilize the scale reduction effect (SRE). You can choose from our large line of weathering products for ultra realistic finishes. 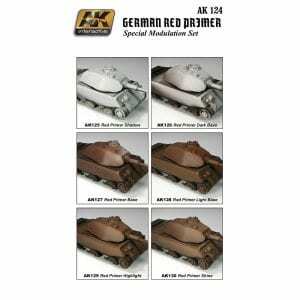 _ AK125 Red Primer Shadow. 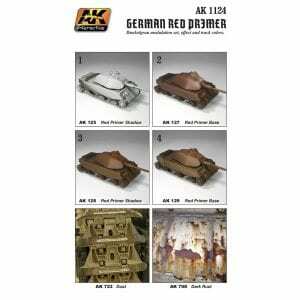 _ AK126 Red Primer Dark Base. _ AK127 Red Primer Base. 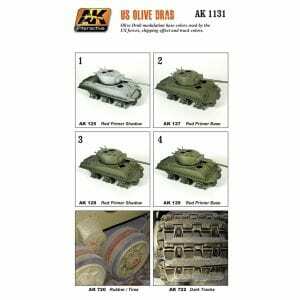 _ AK128 Red Primer Light Base. 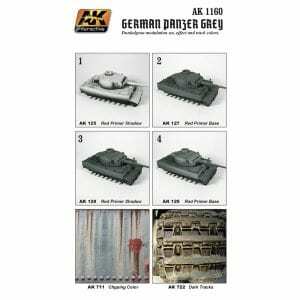 _ AK129 Red Primer High Light. _ AK130 Red Primer Shine.